Mountain biking is a demanding sport — compromises and shortcuts when it comes to gear are never a good idea. The 4Forty is built to withstand the rigors of a trail-riding life; with generous ventilation, the comfort of Float Fit and built-in Sweat Guide, extended rear coverage, a full hard shell, adjustable visor and integrated MIPS protection. Boasting the comfort, protection and broadly capable features of helmets costing twice a smuch, the 4Forty is a bantamweight, all-conditions, all-kinds-of-trail champion packing a heavyweight value. • Integrated MIPS (Multi-Directional Impact Protection System) – MIPS is designed to reduce rotational forces that can result from certain impacts. 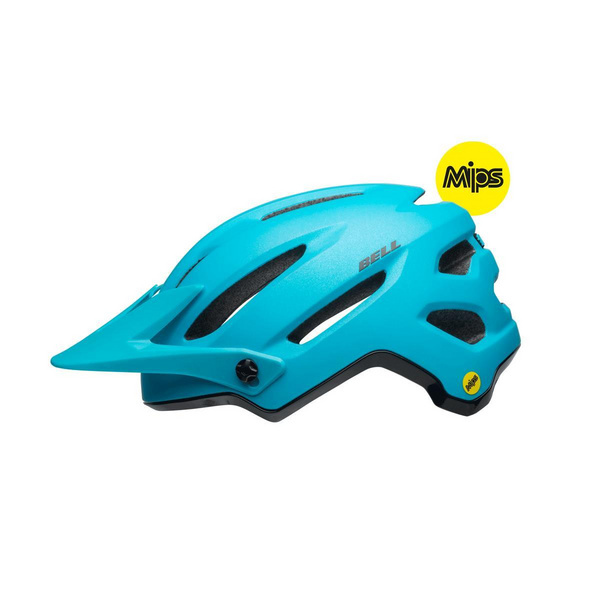 By integrating the MIPS slip plane into the retention system, we are able to reduce complexity and weight for a compact, better ventilated helmet that fits more closely to the head. • Fusion In-Mold polycarbonate shell – A process pioneered by Bell bonds the helmet’s outer shell to the EPS foam liner to create a sturdier helmet.